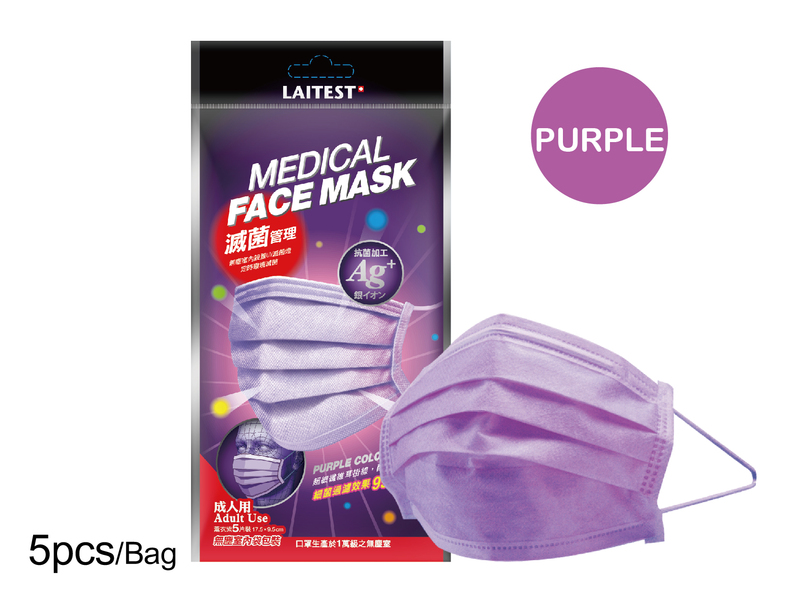 LAITEST MEDICAL FACE MASK - SILVER ION (PURPLE) - Medical Face Mask Series - TAIWAN STANCH CO., LTD. 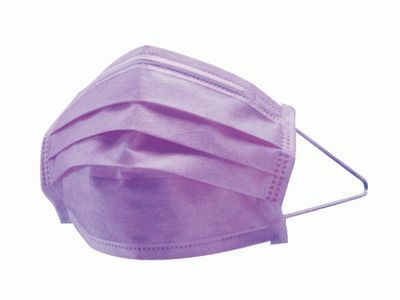 Effectively protects against: sub-micron particles, fine dust, biological agents (bacteria, or bacteria), and fluid splashes. ♦External layer - Fluid splash resistant and odor absorbing layer. ♦Filter layer - Bacterial Filtration Efficiency (BFE) standards of 99%. ♦Inner layer - soft fiber material, provides a comfortable feeling for prolonged wear. ►Open up the mask pleats by gently pulling the top and bottom. (Note: the top has a plastic nose band across the top seam). ►Slightly bend the nose band and place the mask over the face, covering the nose and the chin.